Not all Optometrists are the same… At Total Optical, we are independently owned and the oldest full scope Optometry practice in Cairns. Dr Jane Chin is a Paediatric Optometrist with a special interest in the development of the visual system as well as vision rehabilitation for stroke, traumatic brain injury and sports vision training whilst Dr Alex Norris has a special interest in contact lenses, myopia control and Dry Eye. Antonia Quinn is our Vision Therapist and works with children that may have 20/20 eyesight but have vision problems that are interfering with their ability to learn. We have a laboratory onsite for same day glasses and large range of contact lenses in stock. Are your eyes feeling tired, dry and sore? During the month of March, come in for a Blephasteam Spa Treatment for your eyes for $40 (normally $60). This takes around 30 minutes and can be done during your lunch break. Sit back, relax and enjoy a mini pamper session for your eyes! Friendly, family run local building company offering a complete design and construction service. We offer a personalised building service, where your ideas matter and we encourage you to follow your dreams. New builds, extensions, renovations and small jobs, your input is important to us. Our team is up for every job, managing projects with the skill and experience our clients have come to expect. We always stand behind our work, with customer satisfaction being our #1 priority. Contact us to learn more about our professional team and how we can service you. Call today for your free consultation and quote. We are very proud to advise that Cairns Pitstop has been selected to join the Tyrepower Australia network. With this change comes our new business name ‘Tyrepower Cairns Pitstop’. Tyrepower is Australia’s biggest independent tyre supplier which will now provide our customers with a more broad range of tyres and many more great deals. Over the next few months you will notice a few subtle changes to our shop front and branding which will incorporate the changes. During these changes there will be no ownership change or change in staff. We are committed to providing you with better facilities in 2019, accompanied by better deals and our ongoing customer focused service. Thank you to all of our existing Cairns Pitstop customers, and a big friendly welcome to any new customers. DECEMBER 2018 – BOUTIQUE ICE CO.
Iced ice buckets and bowls made purely from local flora and fruit that chills your wine and champagne while impressing your guests. Dee is a portrait photographer photographing from maternity through to growing families in the Cairns Region. Her approach to photography is very calm, relaxed and natural. She is there to photograph the beauty of pregnancy, the miracle that is a newborn baby and the love of a growing family. Capturing families is what she loves to do. Special moments that you will treasure for a lifetime. Kids grow up way too fast and we need to document this to look back on. Looking for a way to have stylish, salon-quality nails, at a fraction of the price, done in the comfort of your own home?? Jamberry by M.Global, offers you a complete range of DIY nail products – from our signature, heat and pressure-activated nail wraps, to traditional lacquers and gels, plus a fabulous range of hand and foot care products. Jamberry products make great Christmas gifts, stocking stuffers or an extra special treat for yourself! Not sure how to apply nail wraps? A pamper session or mani-makeover is a great way to gather the girls together, have some fun, and learn the secrets to the perfect manicure! or contact Kylie for a catalogue and sample or to arrange your own pamper session! Belle’s Waxing is a specialist waxing salon located in Trinity Beach, Cairns. With many years of experience in the beauty industry, Belle prides herself with being able to offer an affordable and private salon. Styling YOUR Cairns property can add thousands in value. It’s no secret that styling a property can add thousands to the value of your home and today Nicole Bragg from Bragg Real Estate is offering this at NO COST when listing and selling with her for all Studio A members. Awarded “2017 Agent of the Year for Cairns”, Studio A and Bragg Real Estate are excited to offer all members an exclusive opportunity to have their property styled immaculately at NO COST when listing and selling with Nicole. *Limited time only. A revolution on an age old shopping concept…The Source Bulk Foods Cairns brings back personal service and provides a fun and interactive waste free shopping experience. You can choose from an amazing selection of bulk wholefoods, health foods and a huge range of paleo, gluten free, organic and vegan products. From spices to nuts and confectionery…we have it all covered. Come and see what all the talk is about and join the zero waste revolution! Waters Edge Apartments are fully self-contained luxury apartments, located on the beautiful Cairns Esplanade. Families can enjoy the three bedroom swim out apartments which flow out into a sparkling clear pool, also allowing easy access to Muddy’s playground and Esplanade walks. We also offer one, two and three bedroom oceanfront apartments which make great getaways for couples or friends, whilst still being close to Cairns restaurants, bars and events. 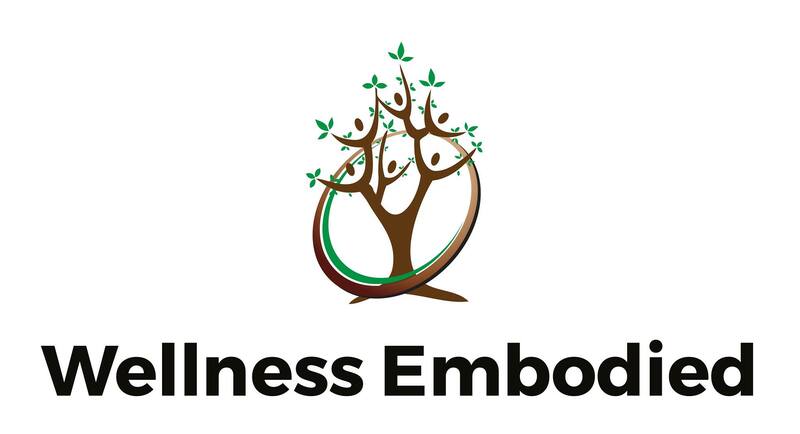 Wellness Embodied is a boutique Physiotherapy practice located in Your Fitness, Cairns CBD, with a Rehab Room at Edge Hill. Practice principal Suzanne Rath has over 12 years of experience and holds a BSc in Physiotherapy and an MSc. in Sport and Exercise Medicine. She has worked in areas from elite sports to hospitals and remote indigenous communities. Today she specialises in offering whole person care and case management to clients of all ages, particularly those with headache/migraine, jaw issues and chronic pain. She is currently assisted in the practice by Physiotherapist Melissa Gibbins, whose clinical area of interest is in tendon pain and issues (e.g. tennis elbow, plantar fasciitis and Achilles tendinopathy). Bad Fishy Jet Boating operates thrilling rides on the stunning Cairns Trinity Inlet on their 12 seat jet boat. Bad Fishy’s 35 minute ride takes you on an amazing adventure combining spins, slides, speed and sights with exploration of the waterway around Admiralty Island and out the front of Cairns. Pat and Nikki are the local owners of this cool adrenalin-pumping product and have been operating jet boats in Australia since 2000 with Cairns their favourite location for a spin! Rides operate daily at 11.30am and 2pm and Bad Fishy offers corporate team building, Christmas parties, private charters, kids birthday parties at other times and also have gift vouchers available for their rides. Tuckerbox café is not your usual “industrial café”…we have a focus on healthier options with something for everyone. From hot filled wraps and fresh salads to homemade delights such as pies, sausage rolls, and home cooked meals. There are vegetarian options as well as gluten free. We also have smoothies, fresh squeezed juice and the old (little bit naughty) favourite…malted milkshakes. We cook fresh to order but also have a large variety of food ready to go for people in a hurry. You can also order via our website www.tuckerboxcafe.com.au and we even deliver!! We can also cater for all your office meetings, breakfast and lunch. Any dental practice will happily boast that they are industry leaders, provide exceptional service and practice the very latest in dental and cosmetic techniques- but a good reputation must be earned. 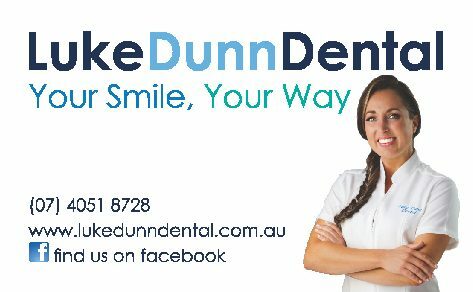 Luke Dunn Dental has been a highly respected name throughout Cairns and North Queensland for over seventeen years. With thousands of loyal, repeat patients, it’s clear that Luke Dunn Dental really is a practice that puts their patients first. And now they’re also offering cosmetic Injectables! Luke Dunn Dental- more than just beautiful smiles. • Brumby’s Edge Hill is a family owned business and has been at the centre of the Edge Hill Village since 1997. • It’s open every day from 5am providing freshly baked bread products and serving freshly brewed coffee using locally roasted beans from Industry One. • All our bread is baked from scratch- no premixes – it is preservative free and has no added sugar. • The bakers bake approximately 3150 loaves of bread and 600 pizza dough bases each week. • As well as bread we offer a wide range of sweets, pastries, savouries, pizza, quiches, pies and sausage rolls. • New bread line coming in 2018 – Low Foodmap (LO FO) bread. Low Foodmap bread is high in protein and fibre, easier to digest and has reduced fermentable carbs, making it ideal for people with sensitive stomachs. • We supply bread to Kingfisher Convenience Store Redlynch, Coffee Can Café Redlynch, Fasta Pasta, PJ O’Brien’s, Noa, Coast Roast and the Pier Bar. • If you are looking for small gifts or something for your Christmas table – Our Christmas products are just about to be launched. So watch out for our Fruit Mince Tarts, Christmas Cakes, Plum Puddings, Shortbread and yummy Rum Balls, Apricot Balls and Choc Balls. • All leftover bread at the end of the day is given to charities such as the Salvation Army. We support a variety of local charities, fundraisers, schools, the annual police golf day and Ride for Isabel. Our main charity is the Smith Family. • Thanks to our fantastic staff, a loyal customer base and our great location, we continue to serve approximately 350 customers on a daily basis. With more than 60 years combined electrical experience in Cairns and North Queensland, the locally owned team at Samark Electrical provide expert advice and services to a range of clients, including domestic, commercial, industrial and government agencies. Established in 1998 as an electrical contracting company, Samark specialises in electrical maintenance and over the years has expanded its services to include utility detection, cable locating and hydrovac excavation. With all of these services available under the same roof, Samark offers customers a one-stop shop when it comes to electrical installation and maintenance, utility location and non-destructive digging excavation services. The simplicity of dealing with one contractor for these services means clients save both time and money, while still being assured of quality service from tradespeople who are dedicated to exceeding expectations. The combination of Samark’s cable and utility locating service with its hydrovac excavation service virtually eliminates any potential risk to utilities that might occur during the project. Samark’s electricians are also licensed to work in confined spaces and at height using elevated work platforms, and can provide services to a range of different applications – whether in trenches, tunnels and other small spaces, or at heights. Samark Electrical are “Dial Before You Dig” Accredited Locators, ERGON Authorised Persons and are currently the only listed Cairns member of the National Utility Locating Contractors Association. Samark are committed to their customers and provide service 24 hours a day, 365 days a year to all contracted clients. For professional and reliable electrical services, contact Samark Electrical on 4054 6511 or email info@samark.com.au. Cairns A/C & Refrigeration is a family owned business with over 25 years experience across all facets of Domestic, Commercial, Industrial and Marine refrigeration and Air Conditioning. Jace, the main man behind Cairns A/C & Refrigeration completed his Air Conditioning and Refrigeration Certificate 3 in Sydney in 1993 and has also completed his Diploma in HVAC Engineering. This enables us to acquire an Unlimited Design Licence. The Unlimited Design licence allows Cairns A/C & Refrigeration to Design, Install and Service all sizes in Refrigeration and Air Conditioning. This allows you, the Customer, to deal with the one person from Design Concept to turn key finish. Jace has extensive experience and knowledge in high-rise, commercial and industrial areas, as well as extensive knowledge in controls. And then there’s me, Jo – Studio A Teamie and now swim coach to the kids triathlon group! I support Jace and the crew and make sure that everything in the office keeps ticking over. If you have any queries about your Air Conditioning and Refrigeration I am here to answer your questions. If you are wanting the best in Service, Experience and Knowledge with a friendly team, call Cairns A/C & Refrigeration today on 0434 627 410. 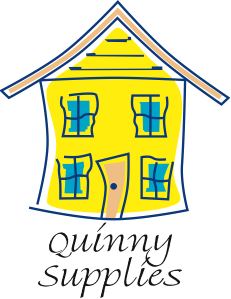 Quinny Supplies is a true local Cairns business owned and operated by Tony and Antonia Quinn. We supply products mainly to, but not limited to, HVAC installers, plasterers, ceiling fixers and insulation installers, as well as catering to the general public. Our huge range of products often rings true the old saying ‘something for everyone’ when referring to trades people. Established firstly as a small home-based garage business in 2012, it moved into its current warehouse address of 351 Spence Street, Bungalow in March 2013 to fill a market need after other national HVAC companies abandoned Cairns and Townsville during the building downturn being experienced at the time. Our clients are spread form Cairns and Townsville to Western Australia, Papua New Guinea and Fiji. We deal with reputable suppliers and like to see our relationships with both customers and suppliers more as partnerships with mutual benefits rather than just clients to each other. We have the knowledge and experience to offer advice, solutions and alternatives…and if we don’t know, we have a huge range of contacts to find the answers for you. We are fully supportive of small and local business, and hope that by running our business efficiently it in turn helps you to grow yours. 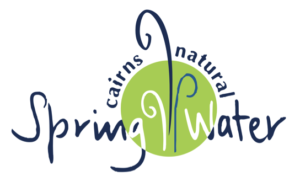 Cairns Natural Spring Water were established in 1994 in Woree, in the beautiful foothills of Cairns. 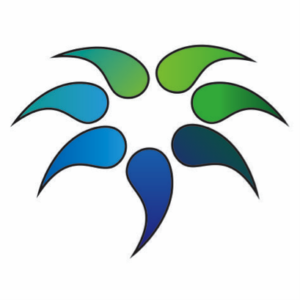 We are a 100% Australian owned and operated company and are committed to providing a high quality product and exceptional service while supporting our local community. We have invested in state-of-the-art machinery that allows us to bottle water for you in sterile and hygienic conditions. Our water is pure and unadulterated – nothing is added or taken away. It is as clean and fresh in the bottle as it is in the underground aquifer from which it is drawn. As part of our quality control program, Cairns Natural Spring Water is not only regularly and frequently tested for any contaminants but is also analyzed for its chemical composition by a certified independent laboratory. We are rightly proud of the purity of our product. Our water contains high levels of magnesium and calcium, which are good for bones and muscles, and silica, which is well known in the beauty industry for its anti-ageing benefits. Silica helps collagen and elastin fibers to remain strong and flexible. No wonder our water tastes great and makes us feel good when we drink it! Being local means that when you need water fast, we are close at hand for free delivery. It also means that our footprint is light on the environment because we do not cart our water from hundreds of kilometres away. Where possible, all our suppliers are local. We are a small company that lives in this community and we understand the importance of keeping your money in the Far North Queensland and Townsville regions and local economy. We are also active supporters of local community events and clubs.